This is my first attempt at building a track from scratch. I decided on a fantasy track as it would give me more freedom of imagination as well as gaining experience without having to build something to resemble how it looks in real life. I have tried to do everything myself as to learn as much as possible. 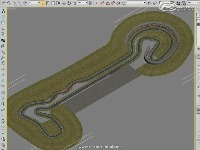 My knowledge of 3dsMax was zero at the start of this project so the initial track layout was built with BobsTrackBuilder (BTB). The terrain, infield and outfield, was also built with BTB but before terrain became available in BTB. I used the wall building tool to accomplish it. And yes that huge grandstand that wraps around the long fast corner was also built by the wall tool :) The final tuning was done in 3dsMax which in turn took quite some time to learn. Most objects were either built in 3DSIMED or 3dsMax. A few objects and textures were borrowed with permission from other track makers. The track is 4.2 km long and it is a fast flowing track with long straights, fast to medium corners and sweeping esses. It does not have huge elevation changes and is mainly flat. It is real fun to drive with the F1 cars as well as the LeMans Prototypes. Brendon Pywell (Piddy) for BTB - without BTB I would have just not got this far. Dave Noonan for 3DSIMED - great tool! 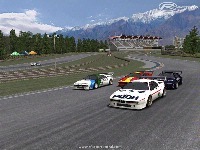 Virtua_LM for the inspiration and knowledge I got from their top class tracks. Madcowie for his excellent video on AIW editing. To everybody that have in one way or another provided me with advice and direction, directly or indirectly via tutorials or forums. I hope you enjouy it. There are currently no setups for SpeedForce. Add a Setup. I would like to contact CodeF1 as well. 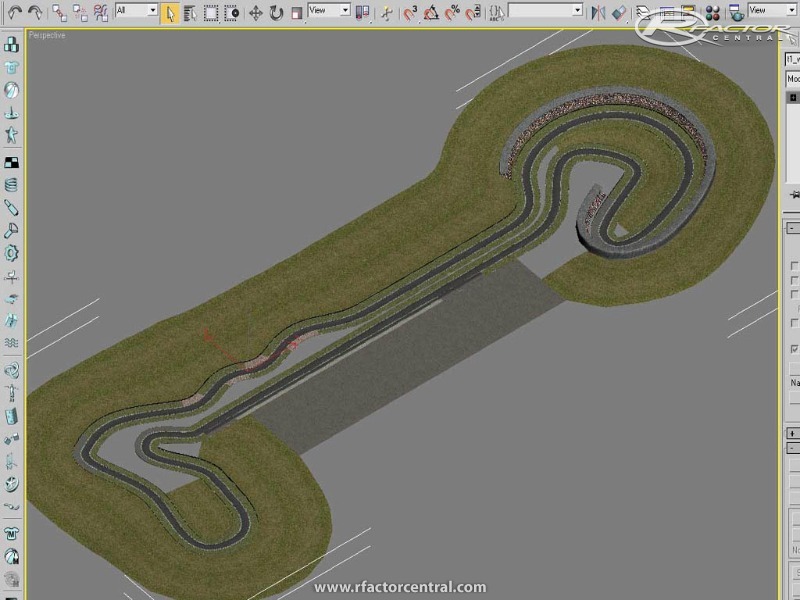 Its about some track for rFactor. Please, its urgent! I was quite surprised today...all of the sudden I received an email from PayPal...after investigation I realized that somebody actually have made a donation for the SpeedForce track. Well I did not expect anything but thank you very much Erin Cunningham from down under Australia. It is much appreciated - although it took me over a year to complete the track this $5 donation made my day! Glad you like it. One of the best tracks out there! Fluid, immersive... The Schumacher Sweep is great, and the big Loop is fantastic!!! 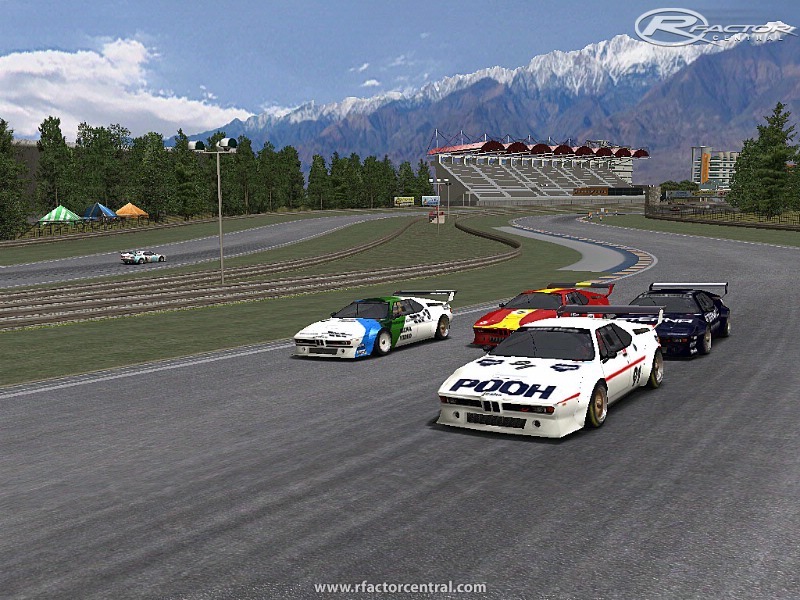 VOR raced here for the first time earlier this week - two classes (GT1 and GT2) with 44 drivers. The track held up great - some terrific racing and many drivers commented that it was a better track than they anticipated from pre-race week practice. No technical issues, no FPS issues, small replay file... highly recommended for league use. 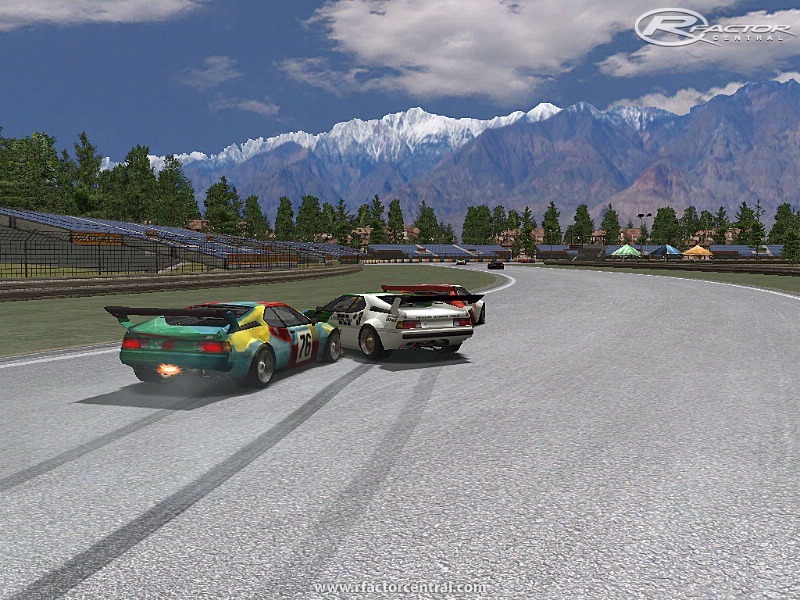 can anyone please tell me in which mod the honda s2000 and the bmw e36 on the screenshot by halama123 are included? where can i find it? 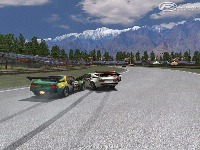 Not only is SpeedForce a lot of fun but it's one of the most picturesque tracks I've raced on. Nice job! I like it too, is it possible to contact you CodeF1, I have my own F1-Fantasy-project over at MMG but I had to find me some trackbuilders first. So, if you are interested in the job. Plz leave a contact-address. First drove this on GTR Evo, but after 1 lap of that i had to come and get the rFactor version because its one of the best tracks ive ever driven. Fantastic work on this track - the layout is just brilliant. Its been a while since ive driven such a well designed track - this is better than most real tracks! Can't download it from RFC. Everytime I go to the link to download it, it keeps logging me out. I log back in, go back to page, and same result. Pete is it possible to get a download going on the RFC servers?